SACRAMENTO, Calif. (CN) – California Governor Jerry Brown wasn’t shy when it came to identifying the underlying culprit responsible for the glut of wildfires raging across the state: climate change. 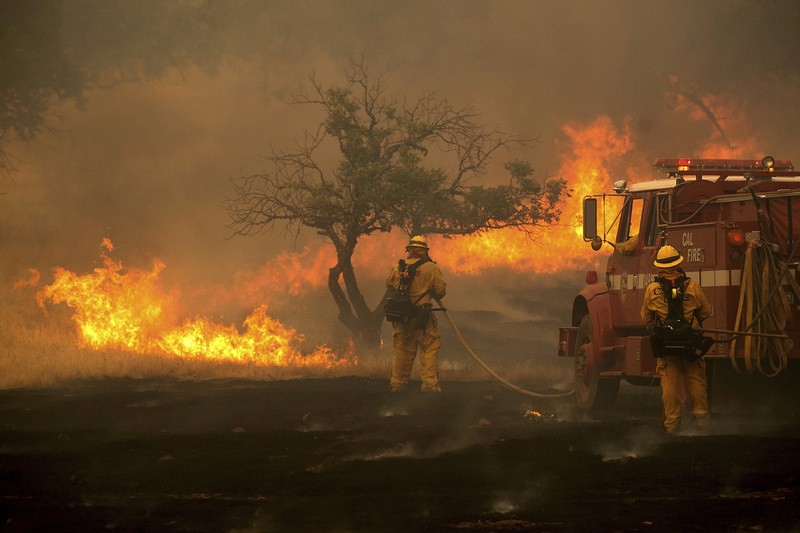 Brown gave his pointed comments about climate change in California and elsewhere as the Golden State grapples with about 20 wildfires burning throughout the state. The worst of these, the Carr Fire, continues to rage in Shasta County. Already in the top 10 most destructive fires in California history, the fire has burned about 120,000 acres, destroyed nearly 1,000 houses and killed six people, including two young children. Firefighters have managed to get a hold on the Carr Fire, listing containment at 35 percent and lifting evacuation orders for several neighborhoods in Redding, a town of about 90,000 residents. Most were forced to evacuate last week as the huge fire threatened to envelope the entire town. 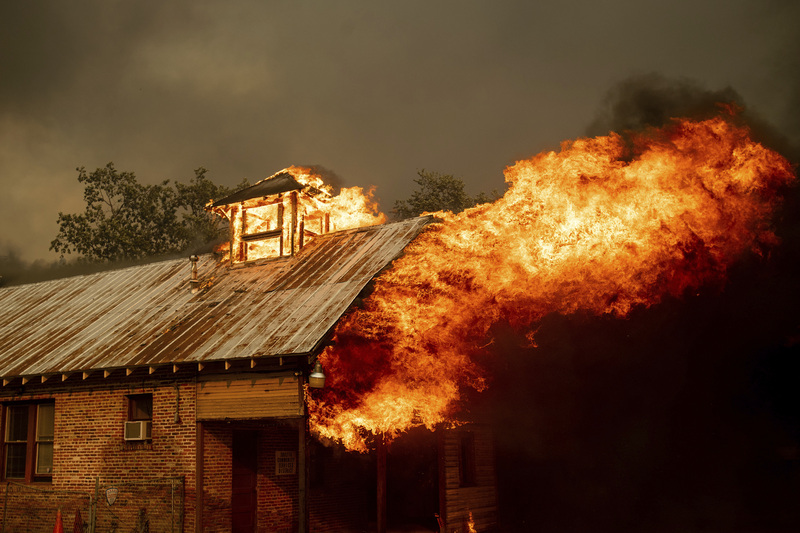 The images of the Carr Fire, where high winds created “firenadoes,” are dramatic and unprecedented, Brown said. It will only get worse, the governor warned, until humans stop emitting so many greenhouse gases into the atmosphere. Brown gave his speech on the day weather officials confirmed Death Valley National Park on the east-central side of the state experienced the hottest month ever recorded on planet Earth in July, with an average temperature of 108 degrees. Daily highs never dipped below 113 and there were at least 10 days when the daily low was over 100 degrees, according to the National Oceanic and Atmospheric Administration. The blistering location has long held the world record for the hottest temperature ever recorded on Earth – 134 degrees in July 1913. But California isn’t the only location to experience hotter than normal temperatures, with a global heat wave broiling Japan, London, Montreal and other northern regions in Canada, much of Europe, Siberia and more. The large number of fires in California has some financial experts worried the state will run out of money for the firefighting budget. Brown threw cold water on that notion, saying there are sufficient funds in the budget. But he acknowledged the problem is growing more and more expensive. The Carr Fire isn’t the only fire wreaking havoc on the landscape and demanding firefighting resources. Yosemite National Park officials said Wednesday that major portions of the park will remain closed through the weekend as firefighters continue to wrestle the Ferguson Fire in Mariposa County. While containment is listed at 38 percent as of Wednesday afternoon, the fire’s activity in steep and inaccessible terrain means it could be burning and compromising air quality in the area for quite some time.